This level has medium difficulty. 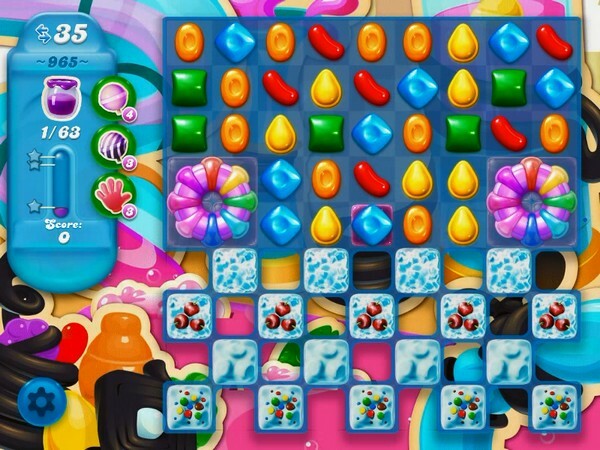 For this level try to play more near to cake to break them as it will help to break more blockers. Or play near to jam to spread them to near candies. You can only do it when the colour bomb crush with the colouring candy, otherwise you cannot get it. Ibhave tried over 100 times but in ruin.